South Beach’s West Avenue, 17th Street and Alton Road are quickly emerging as the preferred spot for boutique hotels looking to appeal to the hundreds of thousands of people that visit Lincoln Road every day. Just recently a Residence Inn with 116 rooms located on 17th Street opened its doors near the northern edge of West Avenue and it will soon be followed by a five-story building built in 1922 that’s currently in the final stages of a restoration. This building was at one point the second tallest edifice in the entire barrier island of Miami Beach. 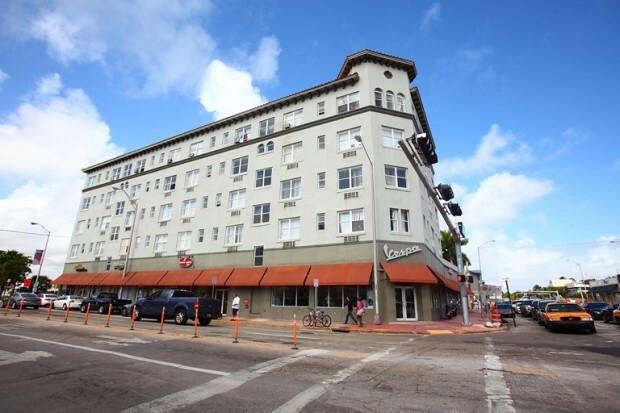 Better known as 1700 Alton Road, the 94-year-old Mediterranean revival building recently got the okay from a Miami Beach planning board to be designated as a historic site. The recommendation will now be transferred to over to the city commission and all signs suggest that the commission will give the designation the okay. Originally 1700 Alton Road served as the Mayflower Hotel and the group of investors that acquired the building are spending millions in an effort to return to the building to its original role. Upon receiving the historic designation the building will be extensively renovated. The designation also means that the owners won’t have to pay the parking impact fees typically associated with the area and its heavy traffic.